Thirdly, magnificent Chinese culture is extremely attractive to a lot of foreigners. 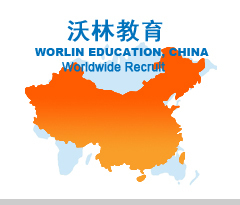 Fourthly, The great educational infrastructure in Asia, cheap cost wise and highly reputed in technology, Engineering, Medicine wise，the availability of instruction in the English medium., more and more Chinese universities have made courses available to students in the English medium. Fifthly, Most of the Medical School in China is recognized in the World Health Organization (WHO)’s "Directory of World Medical Schools". This listing make a student graduating from such Medical University in China eligible to appear for many of the screening tests like the USMLE, PLAB and also the newly introduced "Screening examination" conducted by the National Board Of Examinations, India, under the directive of the Medical Council of India. Sixthly, with the growth in China’s economy and society, The hospital of our country builds and develops at the pace quickly too. With the deepening of health care reform of our country, opening to the outside world with the medical market，every aspect is in line with international standards. The data show that the medical market of China develops at the speed of 15%-20% in the following five years, will reach 24 billion dollars by 2010, will become and continue U.S.A., Japan, Germany, and the fifth largest medical market of world after France; In 2020, will be up to 120 billion, thus exceed U.S.A. and become the first largest market in the world. This has lead to an ever increasing number of students making their way to China to study like the M.B.B.S/M.D/M.S/M.D.S Course. Every year there are more than 10000 international students come to china study Medical Course. China is fast becoming the most favored destination in Asia. MBBS degree: upon graduation, students need to pass the HSK 3. On completing the requirements of the teaching program and passing the graduation examinations successfully, international medical undergraduates will be granted a graduation certificate and conferred a medical degree, if they meet the degree regulations of the university. The English copy of the degree will state MBBS (Bachelor of Medicine and Bachelor of Surgery).